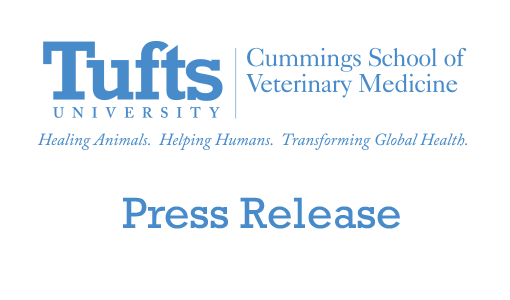 Raptors will take flight in the new Agnes Varis Auditorium and an expected crowd of thousands will gather to learn about all the furry, galloping and ruminating animals at the Cummings School of Veterinary Medicine’s annual Open House, September 12 from 11am to 3pm. The event is free and open to the public, rain or shine. Canines of all types will demonstrate their prowess in working dog demonstrations. The animals of the Cummings School’s working farm will also be available to meet and greet visitors and kids of all ages are welcomed to bring their beloved but bedraggled stuffed animals to be stitched or bandaged at the Teddy Bear Clinic. Admissions counselors will also be on-hand to answer questions about veterinary school, along with our programs in Adventures in Veterinary Medicine for those who want to learn firsthand about being a veterinarian. 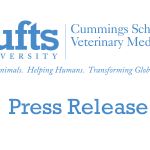 In addition, self-guided tours of the school’s Henry and Lois Foster Hospital for Small Animals, Hospital for Large Animals and campus farm will show visitors how the Cummings School teaches students and cares for more than 28,000 animals per year. What’s more, the school will also be bringing back hay rides—a wonderful way to enjoy a tour of the school’s 600-acre campus without hoofing along the sidewalks. Handicapped parking is available on-campus with free parking for everyone.